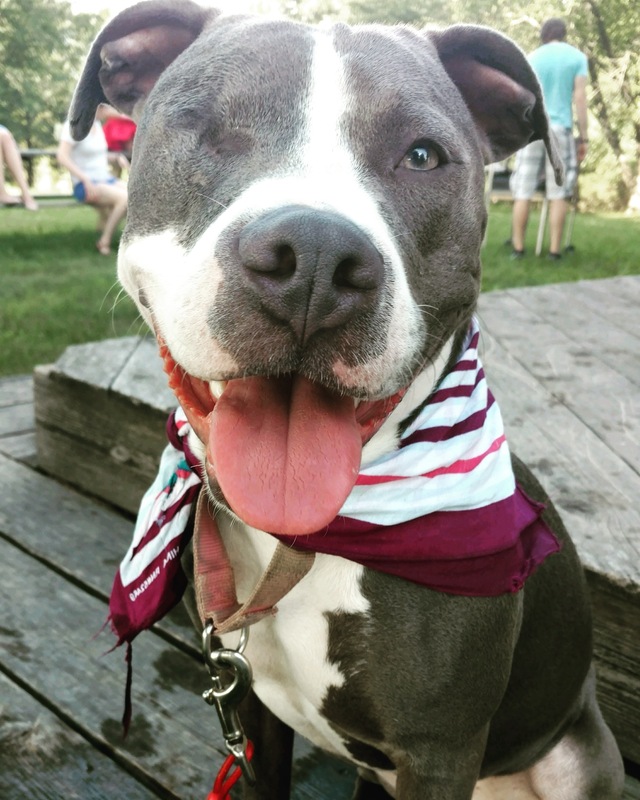 Kaiya is a beautiful young pitbull terrier mix. 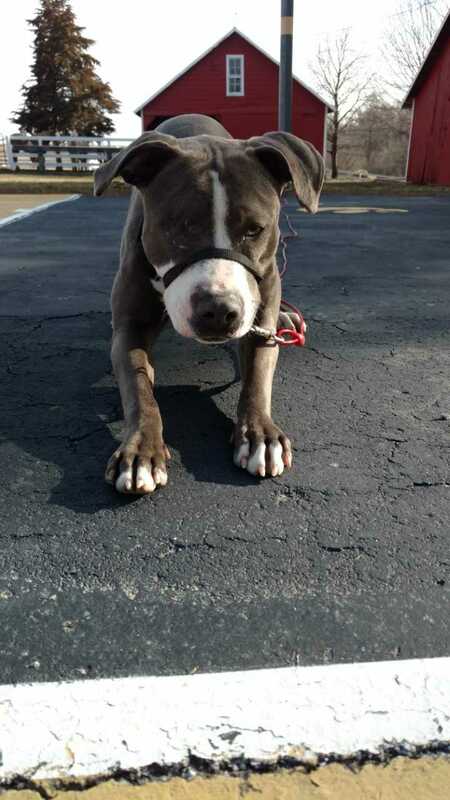 She was found by a patrolman in Missouri. At the time, she had an infection in her eye and it needed to be removed to prevent further damage. She has made an excellent recovery and gets around without any problems or fearfulness. The shelter that she was at became too full, so Kaiya is now a Last Hope dog. Kaiya has been learning potty training and leash manners very well. She knows “sit” and “kennel” and is eager to learn more (especially for treats)! 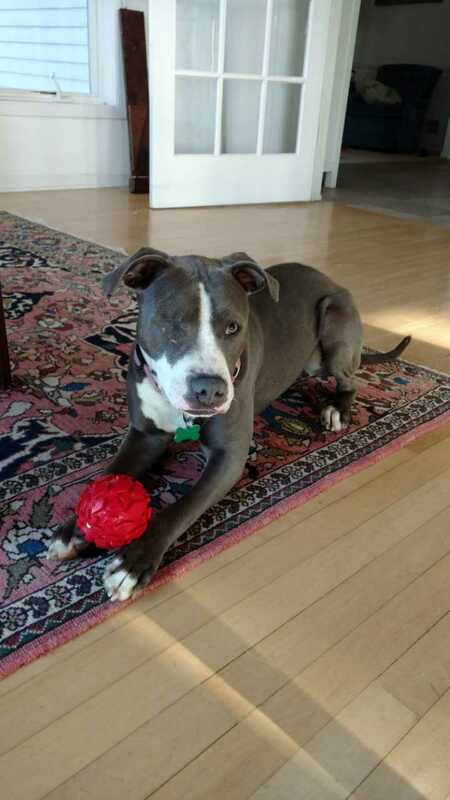 Kaiya has loved all people she has met and gets along well with her fur “big brother.” However, we do recommend her forever home have a submissive male dog or she be an only dog. Kaiya likes to chase cats, but will not harm them. Kaiya has a lot of puppy energy and will do well in a home where she has space to play and people to play with. Kaiya will thrive with someone to teach her how to curb her enthusiasm and will repay in limitless cuddles. Kaiya will do best with older children as she does still have puppy energy and could knock a small one over. Kaiya’s adoption fee is $300 which includes spay surgery, being up to date on vaccinations, a microchip with lifetime registration, and a free obedience class. If you would like to add Kaiya to your family, please complete an application HERE or email adoptions@adopthope.org.